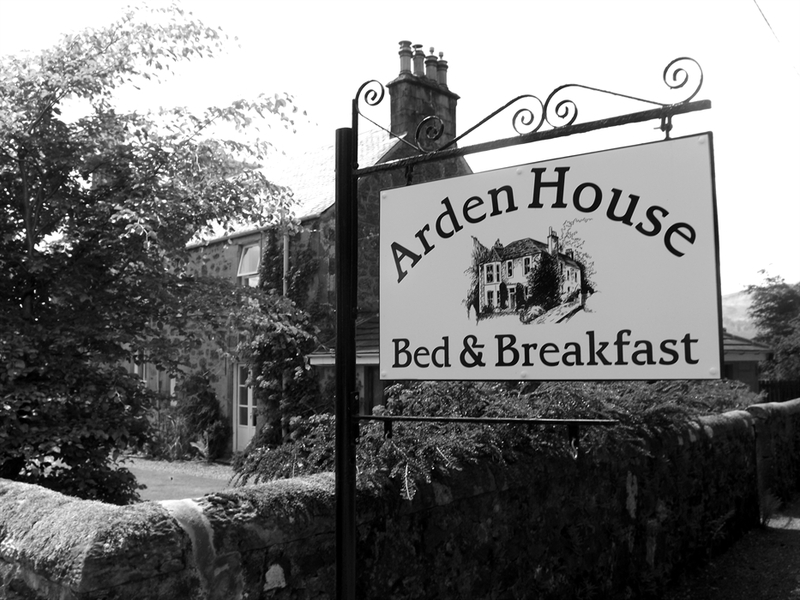 A warm welcome awaits at Arden House. 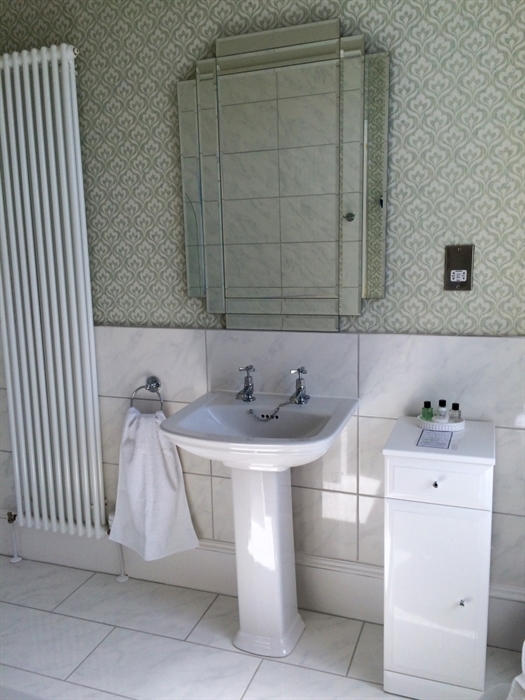 Enjoy space, tranquility and relaxation in our comfortable, exclusively for adults, B&B and self-catering accommodation. 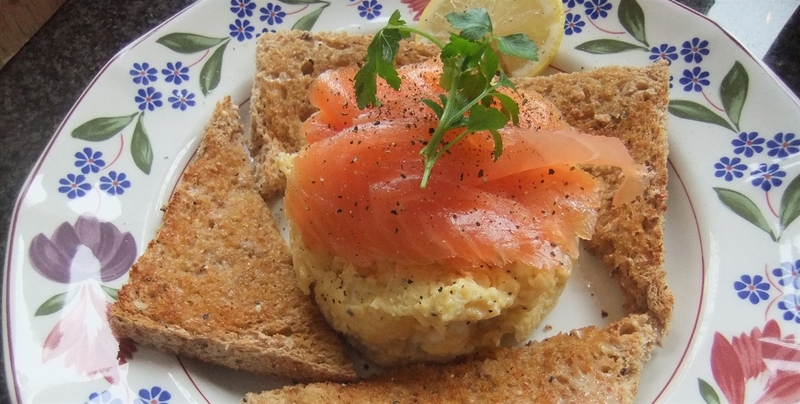 Beautiful surroundings, magnificent views and delicious breakfasts await you in our lovely home in the Loch Lomond and Trossachs National Park - the perfect central location to enjoy Scotland. 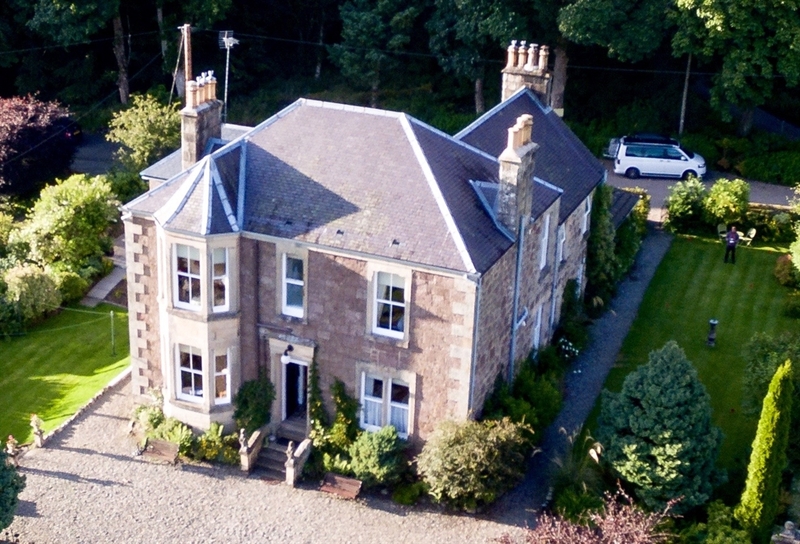 Arden House is a beautiful Victorian stone built property situated in one of the finest positions in Callander. 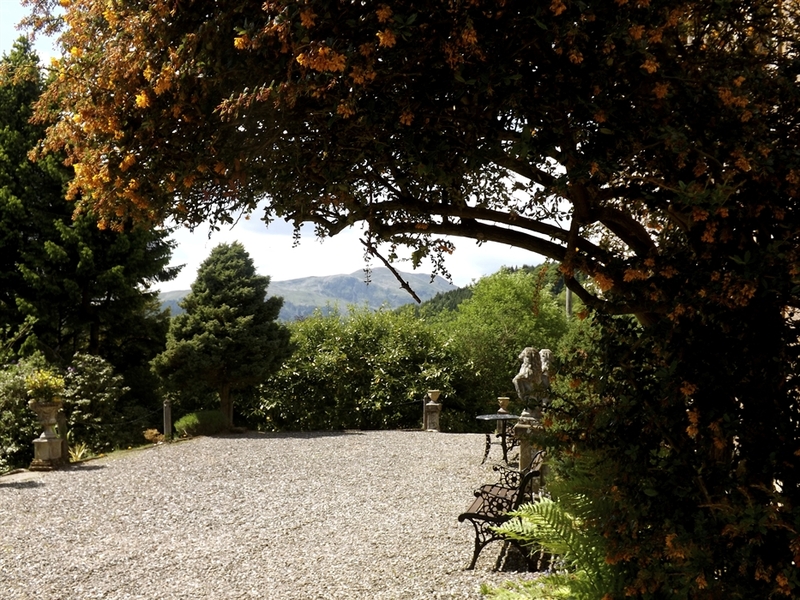 The house stands peacefully in its own attractive gardens overlooking the picturesque village of Callander, with panoramic views of nearby Ben Ledi and the surrounding countryside and hills. 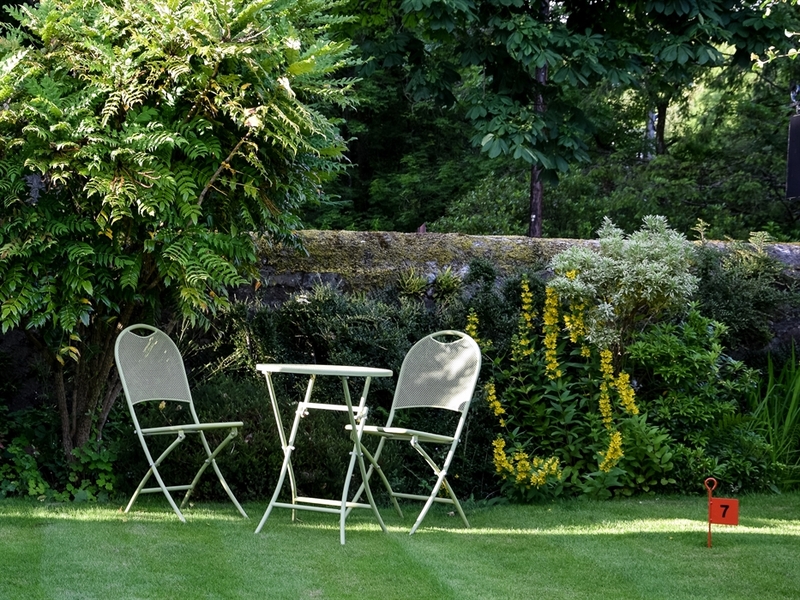 Arden House has ample private parking space, and is only a few minutes walk from the centre of the village which offers a good selection of shops, coffee houses, pubs and restaurants. Arden House was made famous by the BBC television series 'Dr Finlay's Casebook'. The house was the television home of Drs. Finlay and Cameron and their housekeeper, Janet! 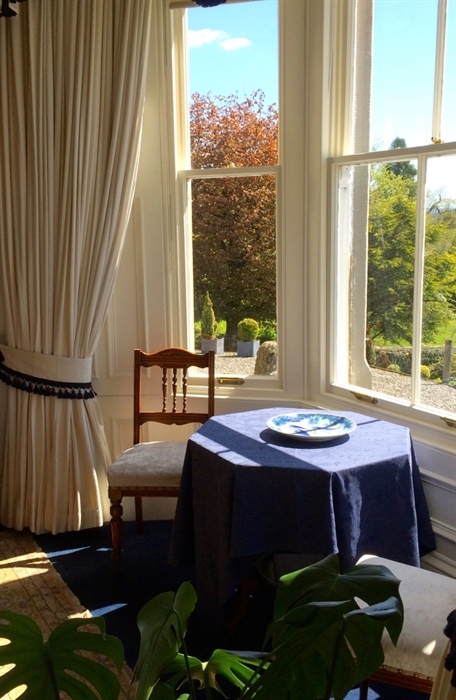 Today, we are honoured to be a 4 Star GOLD VisitScotland B&B and proud to be recommended in the Lonely Planet Guide. 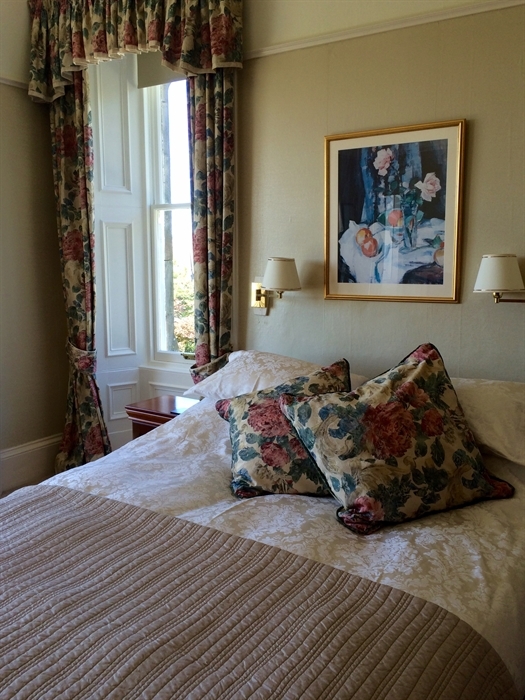 Our 3 guest bedrooms are individual in style and beautifully appointed with newly renovated en-suites, and each have a comfortable sitting area with lovely views - the views from the sitting area in the bay window of our 'Tannochbrae' Suite are simply stunning. 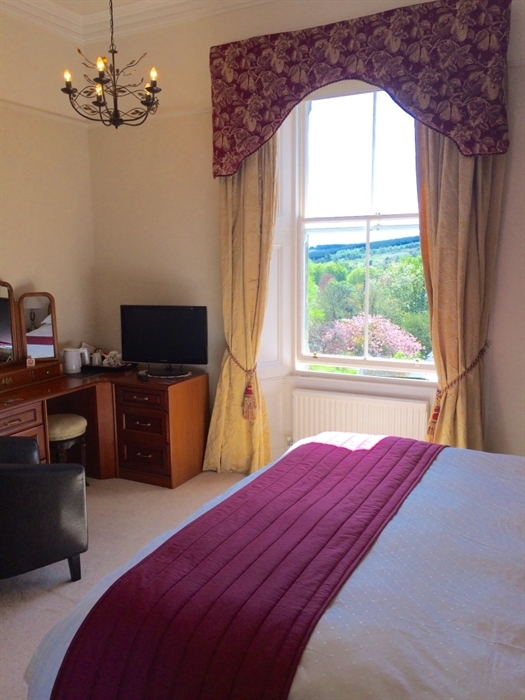 The bedrooms offer complimentary Wi-Fi, flat-screen television with multi-channel free view, Ipod docking station radio alarm clocks, hairdryer, tea and coffee making facilities with daily homebaked goodies and other thoughtful extras to make your stay with us special. 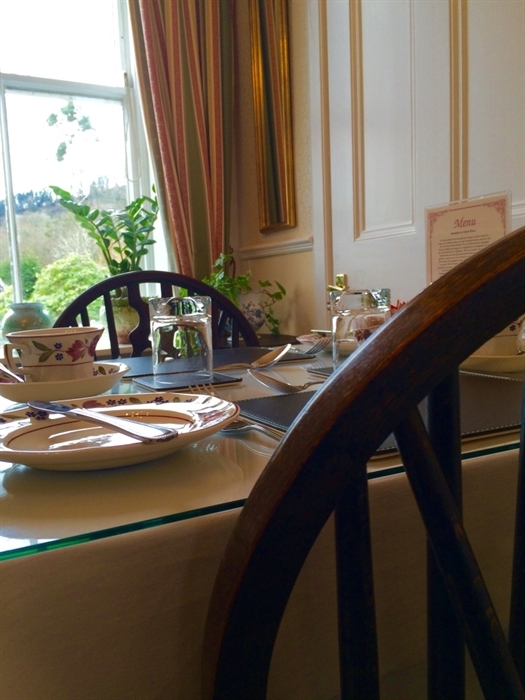 Breakfast is served in our newly refurbished dining room with its cosy log burner for those cooler mornings and patio doors opening onto the garden during warmer summer days. We offer a selection of dishes which are inspired by fresh, local and seasonal produce and we are extremely proud of our 'Taste Our Best' award from Visit Scotland. Vegetarian options are always available and we are happy to cater for special dietary requirements - please just let us know at the time of reservation and we will do our best to accommodate. 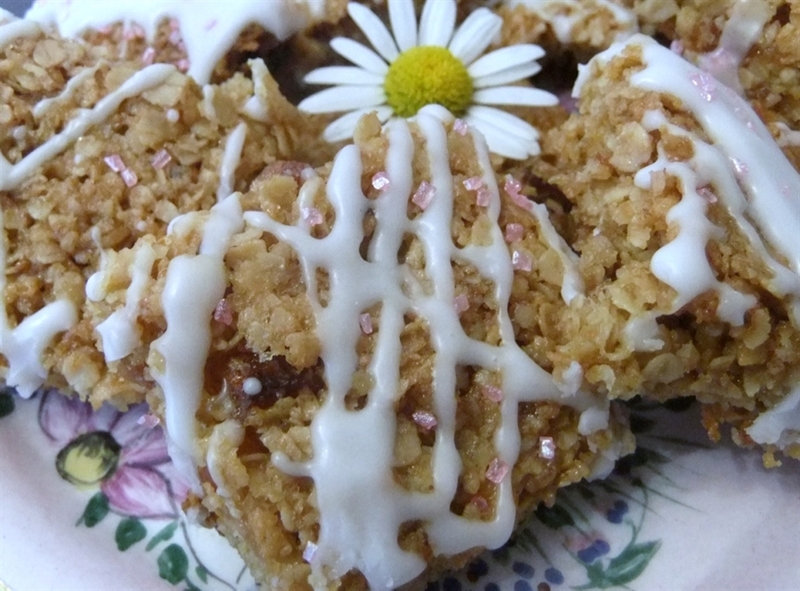 Home baking is a speciality! 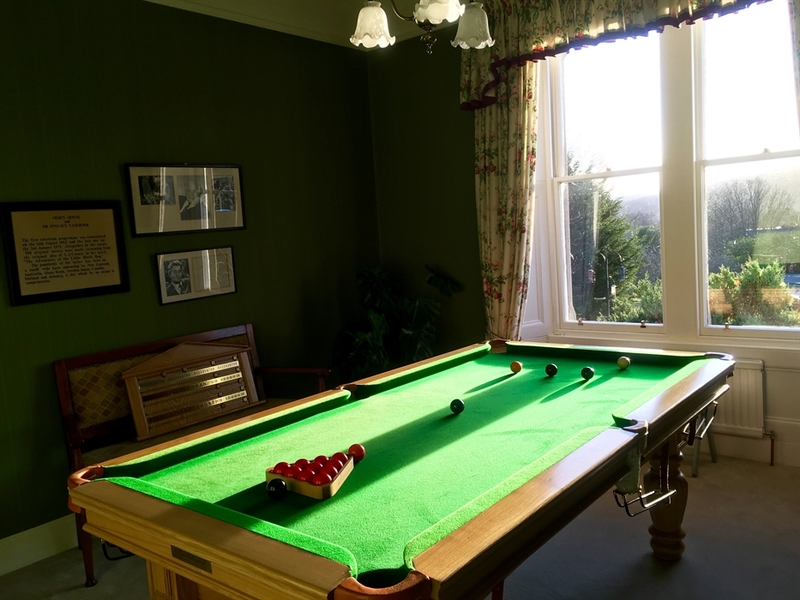 Guests can make themselves at home in our elegant guest sitting room or try a game of pool or snooker in our games room. A drink on the patio followed by a visit to our putting green is also a guest favourite! Free Wi-Fi is available throughout the house. 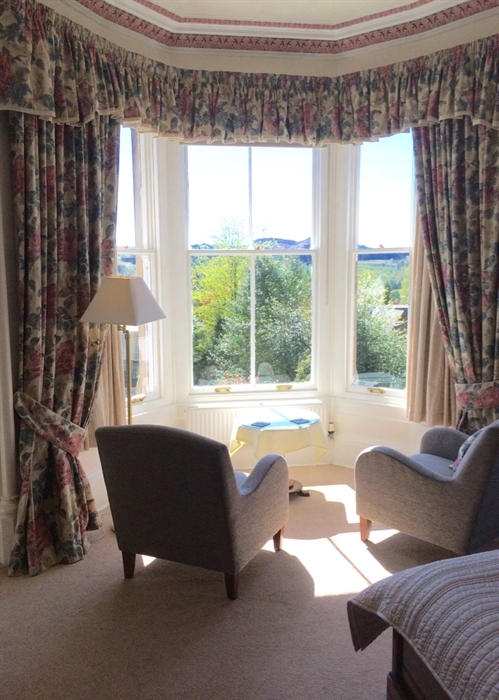 Callander is centrally located, ideal for sightseeing - Stirling, Edinburgh, Glasgow, oban, St Andrews, the East and West coasts are all within easy reach. While hiking, cycling and touring opportunities in the Loch Lomond and Trossachs National Park are available from the doorstep! 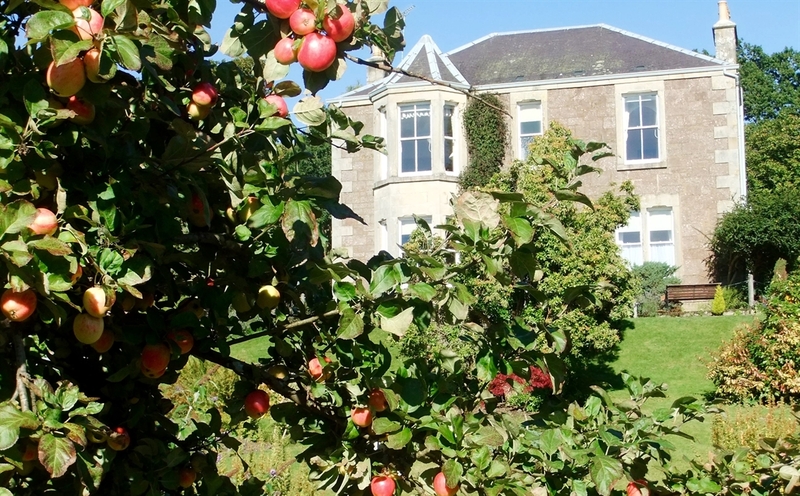 Our guests often choose Arden House as the central touring base for their Scottish holiday and it is always a pleasure to be able to welcome many guests back. We look forward to hearing from you. 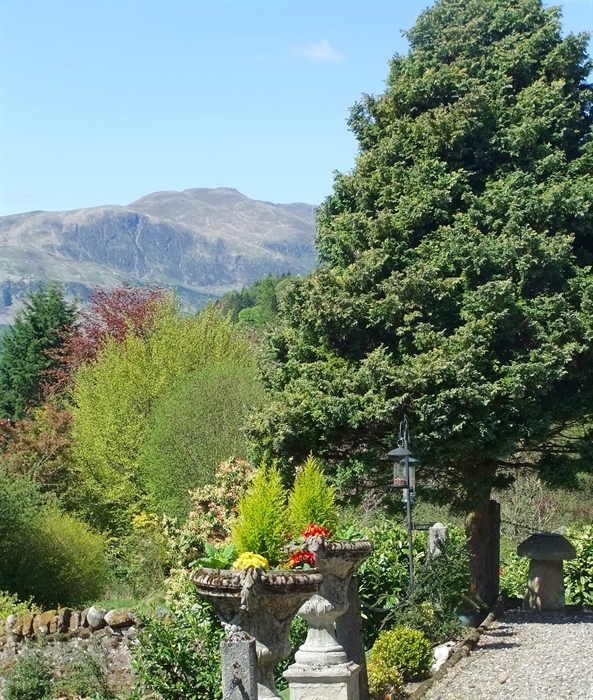 Late Summer @ Arden House View towards Ben Ledi from front terrace. Arden House from the car park.